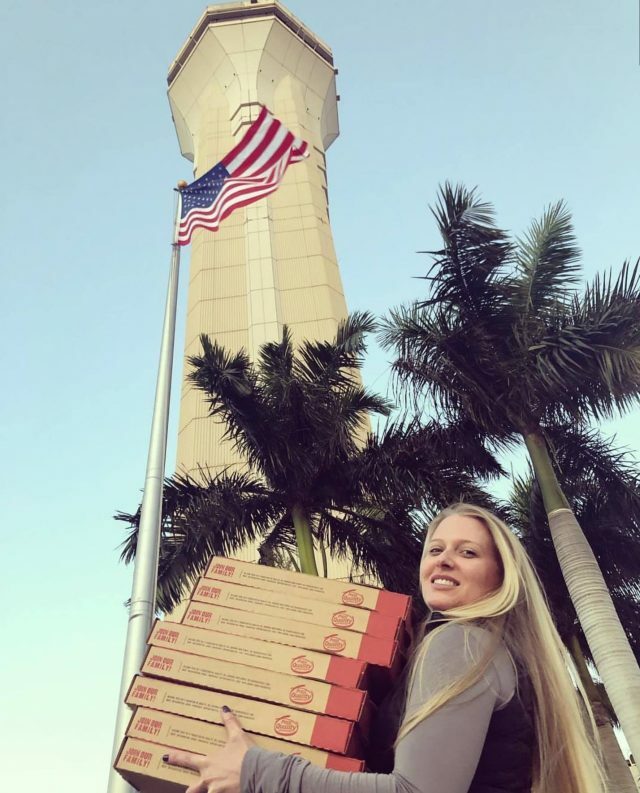 Overeating: Though many air traffic controllers were happy to get pizza from Canada, it later caused significant delays due to controllers passing out from overeating: the average controller ate 21.4 slices. 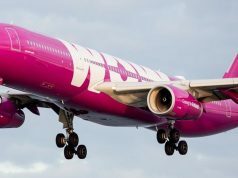 (UNITED STATES) – With the longest U.S. government shutdown in history causing endless turmoil and anxiety for the nation’s air traffic controllers, many felt something needed to be done. 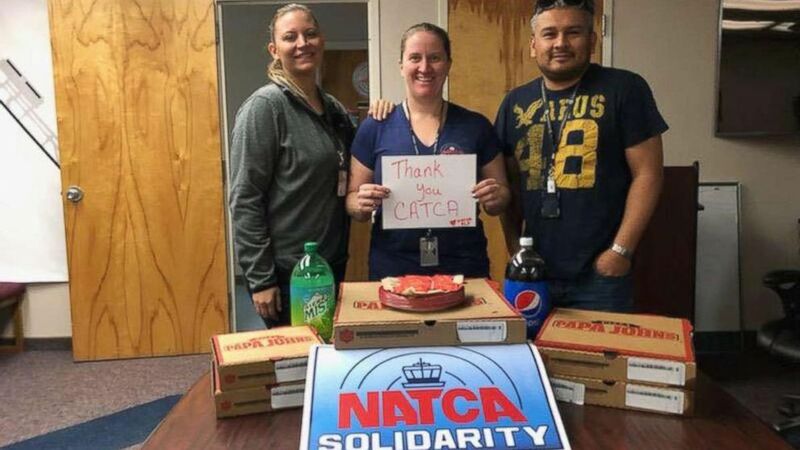 So to show a sense of solidarity, Canada, Ireland, and other countries, as well as private, commercial, and non-profit groups and individuals from all over the world decided last week to donate pizzas to the air traffic control facilities of the United States. The story of Canada stepping up and offering the cheesy treats went viral, reaching nearly every publication in the United States from the New York Times and Washington Post to Fortune, and Newsweek. It even went viral internationally; as far as Australia and India. 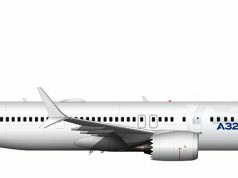 The average air traffic controller ate over 21 slices of pizza between January 15th and January 17th. 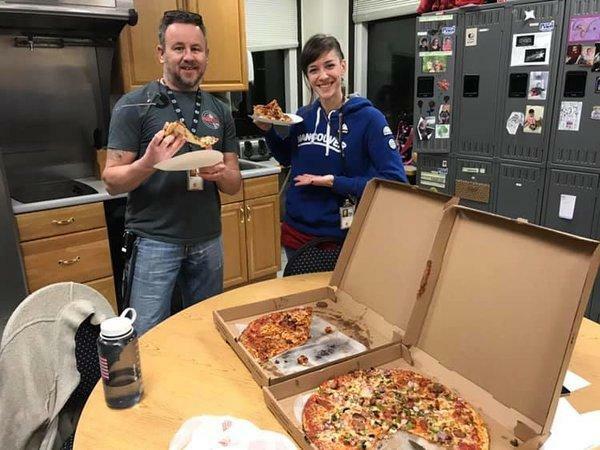 While the pizza significantly helped boost morale and a sense of well-being among the controllers, there was one potential side-effect that was perhaps prematurely overlooked:overeating. “I mean, I had GG passed out over here,” said Bob Daniels, front line supervisor at the Boston Air Traffic Control Center. “JR went up to him, and he was breathing, thank God. But I mean, he was not lucid, at all. We had to relieve him from his position. I would later find out that he was 28 slices of pizza. Pepperoni, I believe.” Daniels wasn’t alone. We had to relieve him from his position. I would later find out that he was 28 slices of pizza. Pepperoni, I believe. 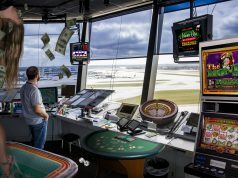 While the average person can perhaps eat 2 or 3 slices of a normal size pizza, air traffic controllers are well known for being able to handle a higher dose, before going into the danger zone. This is due to their high tolerance thanks to shift work, and a diet that typically consists of fried food, beer, and donuts. “My bro Mike over there had 42 slices of a stuffed crust ‘supreme’, bro. And yeah, I mean, he did eventually pass out and suffer from a partial cardiac situation, but the point is, he was chowing down the ‘za and running the [expletive] jets like nobody’s business,” said one controller. 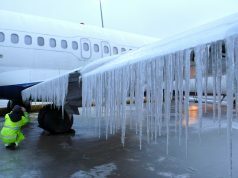 Between January 15th and January 17th, it is estimated that nearly 3400 controllers suffered from a ‘significant overheating’ situation, prompting controllers to shut down 32 of the nations busiest airports. Typically, these decisions come from Washington D.C., however, nobody is working, since they are currently furloughed. 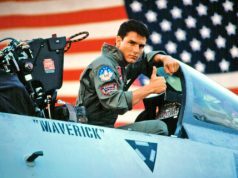 He had like 62 aircraft in his EDST display. Then all I heard was, ‘I think I’m gonna hurl’. 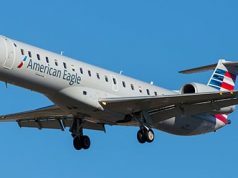 While the pizza continues to be delivered to every air traffic facility in the United States, it is of course speculated that these overeating situations will only get worse, so plan for significant delays if you are flying this weekend. “It was really bad,” said one air traffic controller, who just finished a midnight shift. “Seriously, our clearance delivery guy Ron had to be rolled into the tower cab. I’m not even kidding, I have video to prove it,” he said. We later found out ‘Ron’ could barely fit into the elevator and stairwell. They decided to use some simple machines to hoist him up 143 feet to the control tower windows. “Dude, I’m not worried,” said one traveler.